Showing results by narrator "Laura Dean"
No number has captured the attention and imagination of people throughout the ages as much as the ratio of a circle's circumference to its diameter. Pi is infinite and, in The Joy of Pi it proves to be infinitely intriguing. 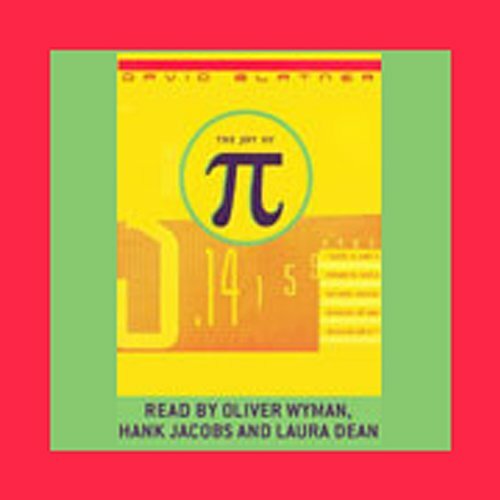 With incisive historical insight and a refreshing sense of humor, David Blatner explores the many facets of pi and humankind's fascination with it - from the ancient Egyptians to the modern-day Chudnovsky brothers, who have calculated pi to eight billion digits. A great start for those who love math.